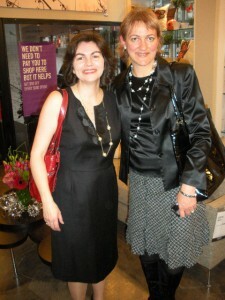 Sally Weatherley of Exit Stage Right bumped into fellow PRES® member Irene Huva of Interior Deco at the Vancouver Urban Barn Red Sofa Event. Sally said she had the best time at Urban Barn and loves their new look. 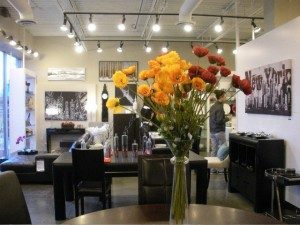 Urban Barn’s furniture style matches Exit Stage Right’s home staging style: Contemporary, comfortable, unpretentious, sophisticated, reasonably priced. This is a perfect look for the young urban target market buyer, particularly for condos. After 20 years, the flagship furniture store has had a complete make over, and now has a clean, contemporary look. The store decided to reconfigure their furniture pieces in order to display them as if they were sitting in an actual room. Small vignettes are found all around the store, so that buyers can imagine how pieces of furniture would be displayed in their home. As a home stager Sally can relate!!! To celebrate the re-opening of their new and improved store, Urban Barn literally rolled out the red carpet and invited the local design community. There was a real creative buzz as invitees commented favourably on the space and its contents. There was also a write up in the Vancouver Sun today regarding Urban Barn’s successful event. 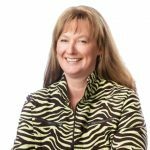 As a Vancouver home stager and owner of Exit Stage Right, Sally has purchased many items at Urban Barn, usually accessories, artwork, lamps and side tables. She had been lusting after a particular coffee table for awhile now. It is made up of interesting overlapping circles, and is the perfect size for staging a condo. To her extreme delight, the furniture designer and General Merchandise Manager for Urban Barn, Sebastien Fauteux, was also in attendance. She had an interesting conversation with him, learning how he worked the cardboard mock-up for the coffee table, at the manufacturer in Thailand, before arriving at the delicious finished product. Another highlight of the evening was listening the handsome, uber cool CEO and President of Urban Barn, Rick Bohonis. His message was that it’s time to change, but not change the product. It is just a question of making the product stand out more. Celebrity designer, Janette Ewan also discussed some of the green aspects of Urban Barn’s furniture, and also pointed out her favourite sofa, and mine, the elegant, Hollywood chic Moma sofa.